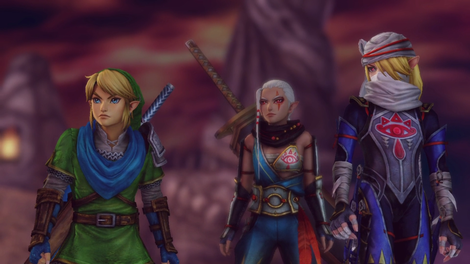 Hyrule Warriors came out for the Nintendo Wii U in 2014. It came out for the Nintendo 3DS in 2016. In 2018, Nintendo finally looked “Hyrule Warriors” up in the dictionary. That’s my joke about the word “definitive”! Don’t worry. I, uh, I won’t make another one, much as I would like to. A Musou game has more in common with Hello Kitty and pachinko than it does with Zelda or Monster Hunter. This is a video review! However, science and anecdote have conspired to impress upon me evidence that many readers would rather read a review as text than watch a video. So I’ll include the (very slightly edited) full text of my review in this post. Having said that, this review is pretty weird, and you may find your enjoyment enhanced by listening to me pronounce my way through such bizarre word combinations as “a simulacrum-claxon of a honcho’s angry inbox” atop a pillow of weird cartoon music. So I’d recommend you watch the video. If I haven’t persuaded you, well, the text-only version is below. Hyrule Warriors takes beloved characters from the Zelda franchise and puts them into a toyful joybox bursting with cacophonous action. If you’ve ever wanted to drink a lake of cackling freak-blood, look no further than—uh, wait a second. Did I just homicide a hundred dudes in, uh, how many seconds was that? Let’s go to the tape! I made one hundred mothers cry in the first sixteen seconds and 52 frames of this game. I made one hundred mothers cry in the first sixteen seconds and 52 frames of this game. Wow. Oh god. I’m sorry. I’ve just spent twenty hours playing through Hyrule Warriors: Definitive Edition. This is a game so fast-paced that it has equipped upon me an attention span liable to discover tangents. In only the first sixteen seconds and fifty-two frames, Zelda exterminated the souls and abandoned the carcasses of 100 living creatures. Let’s put that into perspective using the universe’s favorite rubric: mathematics. By a long process so complicated it has confused even me, I determined that The Legend of Zelda: A Link To The Past is quote-unquote “The Average Zelda Game.” I lit up a fresh save and I attacked The Legend of Zelda: A Link to the Past like it owed my big brother money. My goal was simple: slay one hundred fools with as much speed as I could muster. Via this experiment I determined that The Average Zelda Game’s Monster Kill Rate is 100 monsters per sixteen minutes, one second, and forty-six frames. In other words, if the velocity of creature slaughter and the frequency of idiot funerals are your favorite metrics for ascertaining an interactive entertainment’s objective value and if you rank The Legend of Zelda Breath of the Wild a perfect 10 out of 10, Hyrule Warriors: Definitive Edition scores a rhinoceros-suffocating 570.21739 out of 10! Yeowch! Seriously, though. Hyrule Warriors isn’t a quote-unquote “real” Zelda game. It’s a Dynasty-Warriors-like, known in Japan as a “Musou” game. Musou is Japanese for “peerless,” “unparalleled,” or “unmatched.” This title is appropriate, because these are games where the player character is ridiculously powerful, handsome, and intelligent in comparison to the hundred enemy rubes they’re going to vanquish in the opening sixteen seconds of the experience. Once upon a time, these games started out as depictions of legendary Chinese historical figures tearing up second-century battlefields. The ridiculously malleable game design template lent itself with buttery ease to branded reskins starring some of somebody’s favorite characters. These games are interactive action figure playsets. The game design engine powers a factory that churns out Sales Dynamite. Let’s face it: if you’ve liked video games more than a little bit at any point in the past seventeen years, you know what a Musou game is. You probably can’t throw a moderately-sized rock through a semi-crowded GameStop’s front window without seriously injuring someone who has what they consider to be a unique take on the popularity of the Musou series. I’ve been writing articles about video games for various magazines and online publications for going on two decades, and I’ll admit: Taking cheap hate-shots at Musou games has been one of my favorite pastimes as a word-typer across these decades. [Like, I think I used the exact sentence “These are games where you are the only guy on the battlefield who knows Which One’s The Square Button” in, like, five different articles under different pen names, like, yeah.] Making fun of Musou games is almost as easy as playing Musou games. Wow: see? That was my best joke so far, and I’m just getting started. Every once in a while across these decades, a pop-up blogger’s head punctures the canopy of frothing ridicule to declare an opinion about the Musou games starting with “Actually” and ending with “though.” Today, maybe that person will be me. Actually, Musou games are kinda good, though. I have a confession to make: I like these games. No, I do not like them “ironically.” I just like them. I didn’t always admit that I like these games. No. I’ll be 39 in just a few weeks, and I know off the top of my head that 78 is the American male average life expectancy. What I’m saying is, I mathematically qualify for a midlife crisis. You could say I’m at a crossroads in my life, and that this has begun to impress a confessional tone upon my monologues as a professional video game expert. So I say again: I like these games. However, I used to approach them with loud cynicism. I wrote that sentence once in a British magazine many years ago. Let’s not talk about that magazine. Years later, in 2014, the unthinkable happened: they put god darn Zelda in one of these. I played it a bit. It was okay. I mean just look at these jokes in this video! How can reading the text by itself be as much fun as this? One year after that, in 2015, the double-unthinkable happened: they put god darn Dragon Quest in one of these games. I played Dragon Quest Heroes. And, uh. Playing Hyrule Warriors: Definitive Edition on my Nintendo Switch this past week has been pleasant. The game is so stressful, yet stress-free. I find items during battles. I cash them in at the end of the battles. I acquire stuff. I learn skills. I play and replay battles. I succeed at side missions sometimes; I fail at other times. It’s a toy box full of Zelda characters and Zelda sound effects. Hyrule Warriors: Definitive Edition is a big tactical action game full of Zelda. This practically begs for a classic bullet point review in the fashion of an early-2000s website. So let’s talk about the graphics. Despite the appearance of the Team Ninja logo in the opening splash, the game is not a rock-solid 60 frames per second. The framerate fluctuates. You can tell that the action never gets as low as 30 frames per second the instant you get into a cutscene, because, wow, the cutscenes are definitely 30 frames per second. Everything else looks pleasant. The characters are detailed. The animations are delicious. The boss monsters are ferocious. The visuals constantly and consistently remind me of games I love, and I love that. I love the way the graphic design of the menus reminds me of old Zelda games without, you know, being pixel art. You’re always getting new stuff to use and look at and play with. Wow! I unlocked a Breath of the Wild outfit for Zelda! I don’t even know what I did to deserve this. As far as I can remember, I just played through the first level. Of course I put it on her immediately. Let’s talk about the sound! Usually, I turn the music off to capture footage of games when making a video, so that the game’s sound effects can play behind my voiceover and I can smoothly edit in goofy cartoon music. I muted the music when playing for some of the footage I’ve used in my video. However, this game was so noisy even with the music off that I’ve had to mute the game footage altogether so that item-getting fanfares and such don’t interrupt one another. And oh buddy, let me tell you: Those item-getting fanfares are hot, and they are wild. Are you, my friend, for example, familiar with that twinkly little jingle that plays when a key appears in Zelda? 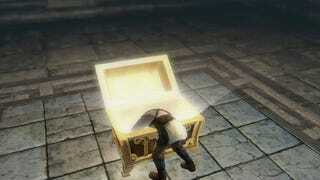 Or the four-note fanfare that plays when you open a treasure chest? Or the frilly trill that unfurls when you discover a secret? Imagine a killing cyclone composed entirely of such sonic signatures. Meanwhile enemies growl and heroes battlecry. Blows land. Blades shing. Blunt objects thud. Dozens of flying bodies hit the floor together every second. I played back some music-free footage of this game on my living room television, and let the sound of it wash over me. It brought back memories of the years I lived in Japan. I could practically smell the mushroom cloud of cigarette smoke belching out of the automatic doors of an air-conditioned pachinko parlor. Musou games are alive with this warm, white noise. It’s hypnotic, if you’re in the mood to be hypnotised. Listened to in isolation, the music fascinates me. It is a different intensity of white noise from the sound effects. Listen to the first track you hear in the first level. It builds and builds. It thrums and hums. When if ever will it graduate into a melody? This is a snippy question to ask: you aren’t supposed to hold any of Hyrule Warriors’ individual elements up to the light. You take it all at once or you take none of it at all. You’re the hungry goose now, dog. Let’s talk about the game design. If The Legend of Zelda: Breath of the Wild is a loved one who bakes and then decorates a birthday cake and then surprises you with a birthday party attended by your living friends and your miraculously resurrected favorite dead relatives, Hyrule Warriors is a clown force-feeding you cotton candy in a loud basement. You’re the hungry goose now, dog, and Zelda is the red-nosed farmer. Your weird rainbow liver is gonna earn some goofball molecular gastronomist a freaky fistful of Michelin stars. Uh, at least that’s the sort of thing I would have said in the early 2000s. Today I’ll speak more nicely. I honestly think the Musou games deserve a little intellectual interrogation. I’m going to make an honest attempt. My ancient beef with Musou games was that the action wasn’t hard enough. I earnestly wanted all the busywork and action-figure clanging of a Musou game. However, I wanted it with all the precision of a Treasure game, all the technicality of Street Fighter, and all the difficulty of Devil May Cry. At the very least, I wanted some of the enemies to please hit me. Musou games are Action-Flavored Strategic Job Responsibility Simulators. Musou games are Action-Flavored Strategic Job Responsibility Simulators. A Musou game has more in common with Hello Kitty and pachinko than it does with Zelda or Monster Hunter. And I mean, I’m not just saying “Hello Kitty and pachinko” to sound quirky and irreverent. I mean it: Hello Kitty is a character that exists to sell goods with Hello Kitty logos on them. Hello Kitty has been hugely influential to product designers in Japan for decades. As for pachinko: Well. That’s a little bit more complicated. Pachinko is a game about physical trend-watching. Balls tumble and cascade down a vertical table, plunking and clacking against stationary pegs, orchestrating nearly inscrutable friction against mobile levers and platforms. A multitude of tiny silver balls plink, clack, and roll. All the player actively does is control the flow. A pachinko player’s deepest skill is the recognition, prediction, and mindfulness of patterns. Behold this mini-map, lit up alive with the fireworks of Hey, Listen, a simulacrum-claxon of a honcho’s angry inbox. 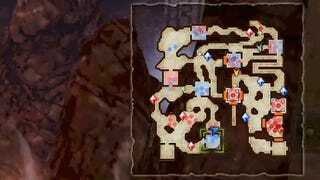 A Musou game likewise tears the experiencer’s attention span into busy shreds. You must always be mindful of who is where, of what territory the enemy controls or doesn’t. Switching between playable characters is a simple button press. You can order your captains to hold specific zones. You can clear a level without owning most of the territory. You can fail all of the side goals and still glimpse the loud word “VICTORY.” How well you plan routes which intersect the multivarious simultaneous objectives determines how much and how good loot you win. So it is Musou games are about coping with stress. They’re games about being the boss in a noisy cartoon office. Behold this mini-map, lit up alive with the fireworks of Hey, Listen, a simulacrum-claxon of a honcho’s angry inbox. I had more fun saying “a simulacrum-claxon of a honcho’s angry inbox” into that microphone than I’ve had saying any other phrase so far in 2018, I think. Musou games aren’t about feeling powerful. They’re games about feeling responsible. Every time I think about Musou games, I remember the all-night internet cafes of Tokyo in the early 2000s. It used to be, you could borrow PlayStation games and play them in your booth by yourself. Every time I stayed out too late seeing a band in Kabukicho and missed the last train, there was this one underground internet cafe I’d always spend the night in. It was lit electric blue. On summer nights it was frozen with air conditioning. It was home, with low ceilings, and free iced cocoa. Every night, returning to my booth with a fresh glass of iced cocoa, duck-walking under those low ceilings, I glimpsed many salarymen with their jackets off and their ties loose, smoking like chimneys, slaughtering hundreds of idiots per minute in the latest Musou joint. Why weren’t they doing this at home? They must have worked so late in terror of the boss’s judgment that they missed the last train. Musou games are thus white noise for a stressed mind. Musou games afford us an opportunity to fight real stress with game stress. Musou games are the video game equivalent of listening to a sad song when you’re sad. "A simulacrum-claxon of a honcho's angry inbox." Musou, aka "Hello Kitty Pachinko"
A grown man is playing with dolls, and that's perfectly fine, because the dolls are wielding bladed weapons. Sometimes there's way too much happening and you freak out. 20 hours of the main campaign and "Legends" mode...plus, uh, a lot more on Wii U in 2014. So should you play Hyrule Warriors: Definitive Edition for the Nintendo Switch? Well, do you love Zelda? Do you know THIS guy’s name? It’s Darunia. I know this isn’t the hardest possible Zelda trivia question. I’m saying this is about the difficulty of Zelda trivia knowledge required to enjoy encountering these characters amid this particular cacophony. Like, I don’t mean do you know what species of personoid he is, I mean, do you know his proper given name, like right off the top of your head? Do you want to hang out with Zelda characters amid pleasant scenery whilst listening to music that reminds you of music you love? Do you love Linkle a lot and hashtag Linkle in Smash or my Switch in the trash?!? Do you adore the acquisition of trinkets? Do you want to go trick-or-treating for Triforces? Does the idea of collecting a dozen interactive dolls of Zelda characters and then replaying scenarios again and again in order to obtain all manner of pretty outfits and accessories to dress them up in appeal to you? Would you like to do this on the bus or train, or in the bathroom? Seriously, these Musou games are always bursting at the seams with collectible abilities, equipment, and stuff. It’s like they were made for the Nintendo Switch. Just like F-Zero GX! Hyrule Warriors: Definitive Edition is a Smash where Zelda is all of the Bros. It is bursting with the ghost of Nintendo’s sweetest past. Once again, as they do so well, Nintendo proves that just when you thought you might be done with the past, the past sure as heck ain’t done with you: You will be a cold skeleton in the hard earth before you even come to terms with being able to think about milking every trinket out of this game.